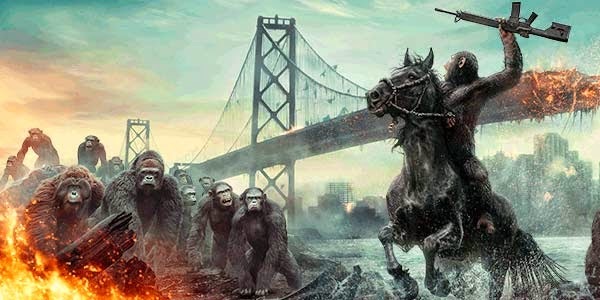 For those looking for an action packed yet deep and thought provoking film, Dawn of the Planet of the Apes is the movie for you. Starting off, the obvious flaunting of CGI’d apes hunting in the jungle caused me to worry that perhaps the plot had fallen victim to the big Hollywood special effects that caused the downfall of movies like Alice in Wonderland and Oz the Great and Powerful. Special effects are great and all as long as you don’t neglect the plot line. Thankfully, the appearance of the humans, who were thought to have gone extinct due to the simian virus, amps up the tension in what seems like the apes’ perfect life. From then on, the film cascades into a beautiful mixture of edge-of-your-seat battle scenes and thought-provoking tear-jerking events. The tensions within the film branch far from simply the tension between man and ape. The leader of the human colony Dreyfus (Gary Oldman) is at odds with Malcolm (Jason Clarke), the human colony’s co-founder and an advocate for peace between the apes and humans. Dreyfus knows that the colony is desperate for power, and firmly believes in the eradication of the simian threat. Is it better to have mercy and live in peace, or eliminate the threat and kill hundreds of humans as well as apes? The film also brings into question how much we can truly trust those seemingly similar to us. The apes believe they are superior to humans, yet one ape, Koba (Toby Kebell), loathes them and not without reason. He suffered abuse under human hands and bears the scars to prove it. 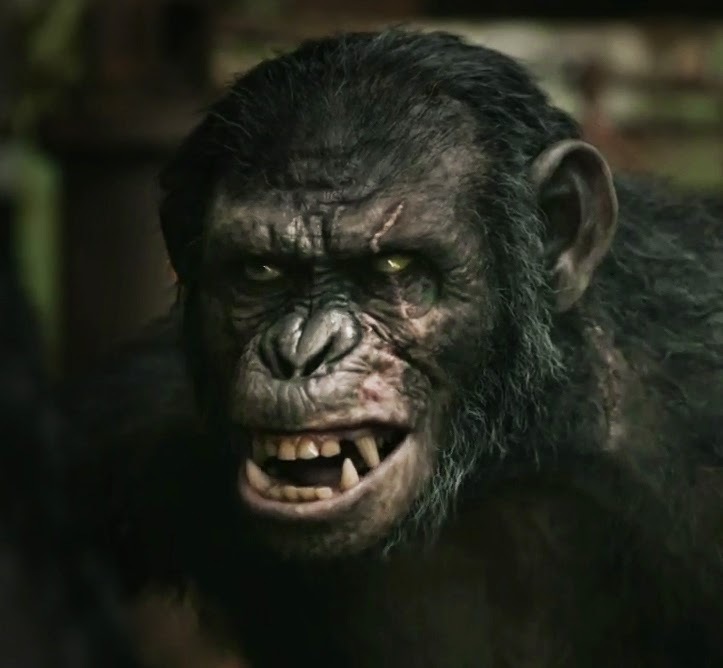 The fact that the ape leader Caesar (Andy Serkis) not only tolerates the humans but even helps them pushes Koba from loathing to an obsessive lust for power. This lust leads Koba to shoot Caesar, usurp his power, and leave Caesar for dead. Sound familiar? Yes, this part of the movie is basically a simian version of Julius Caesar, except for the fact that Caesar miraculously recovers from being shot in the chest with a machine gun (I’ll let that one slide). Among the blood-shed and incredible visual effects, the most intimate and realistic moment was the tear-jerking exchange between Malcolm and Caesar following Koba’s defeat. After all the turmoil these two have gone through, you half expect them to hold hands and frolic into the forest to live happily ever after. Well, that is definitely not what happens. Malcom warns Caesar to leave the tower since human armies are on their way, responding to an emergency radio call from Dreyfus’s human colony. Yet, Caesar stays put, explaining that he has finally realized that despite all of his and Malcolm’s efforts, war is inevitable. Yes, this movie is fiction. For Pete’s sake, there are chimps and orangutans riding horses. Nevertheless, Caesar’s statement definitely rings true in reality. Especially now, what with the U.S.’s continued struggle with the Middle East and even North Korea. 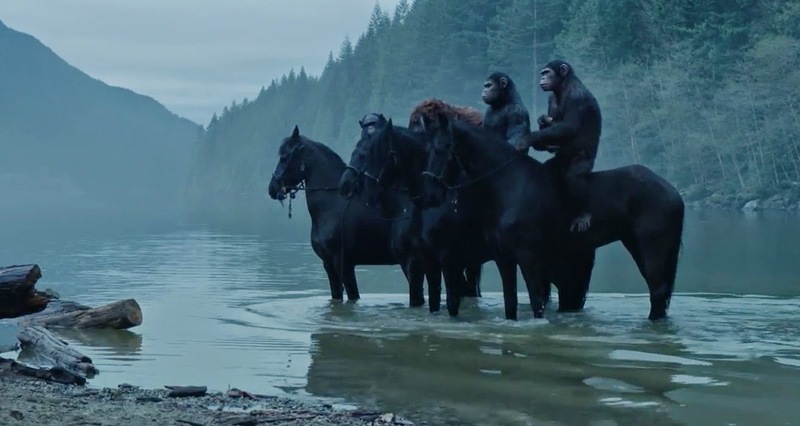 All in all, Dawn of the Planet of the Apes has much more to offer than just cinematic visual funsies. It’s an exhilarating adventure for anyone looking for a thrill on a Friday night, and Caesar the ape brings into question many issues that all too true to us humans in everyday life.